These copper cabinet knobs are a contemporary addition to your home, creating an industrial aura through their addition of subtle warm copper tones. 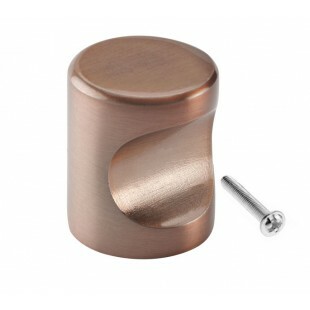 Copper drawer knobs are highly sought after thanks to their stylish and timeless appearance. Ideal for use on drawers, cupboards and wardrobes but should also be considered for us on kitchen cabinets and drawers. 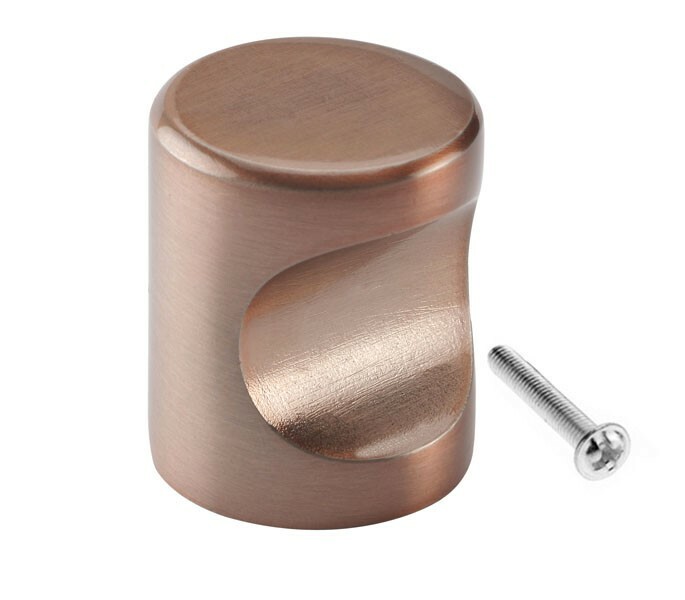 Our copper cabinet knobs have a sleek cylindrical shape and a handy finger tip design creating an ergonomic cupboard knob which is easy and comfortable to use. 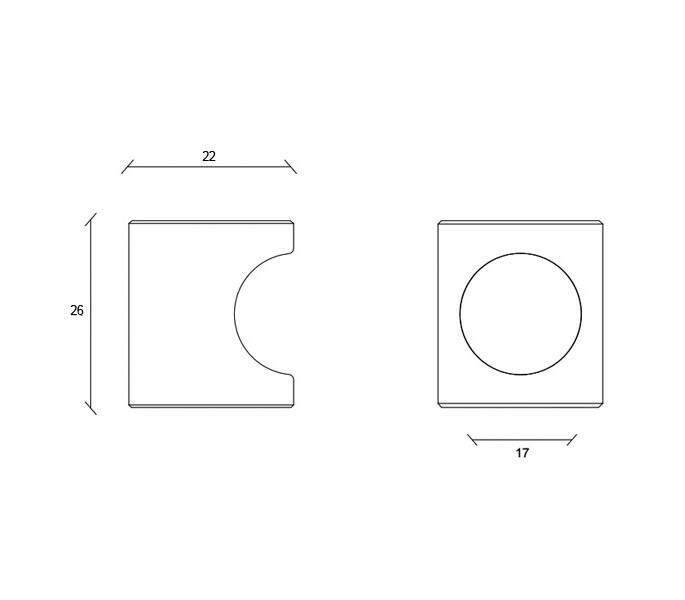 It measures 22mm in diameter and has a 26mm projection. Fixing bolt included.